The Night City Tour is ideal for you if you like to experience night life in the City! 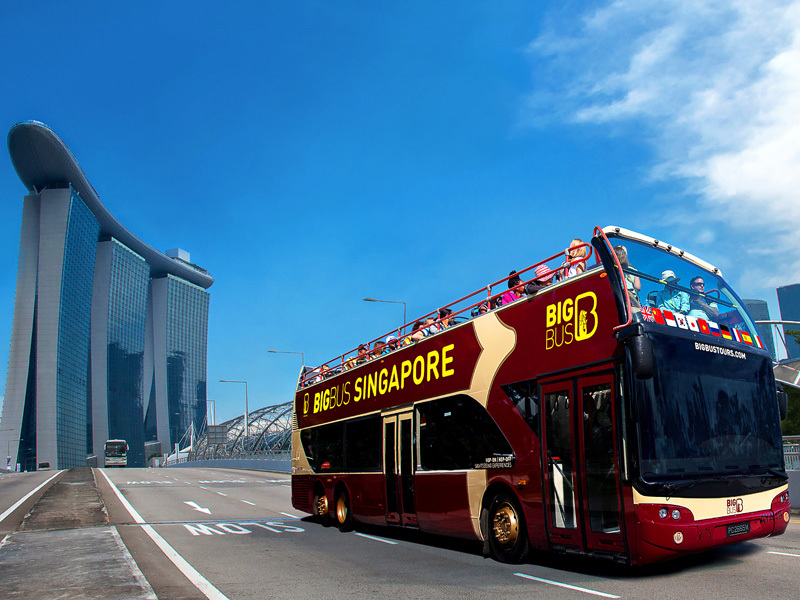 Your evening tour starts in Suntec City, where you’ll hop aboard the open-top HiPPO bus. With your guide, you will be driving through the iconic Marina Bay and arriving at Chinatown. The first stop is the Singapore Food Street, a 60s-style food haven offering local cuisine where you’ll learn about the city’s culinary culture from your guide. Use the provided $5 voucher to purchase something to sample from the wide array of traditional dishes. Then continue to your next stop, Gardens by the Bay. 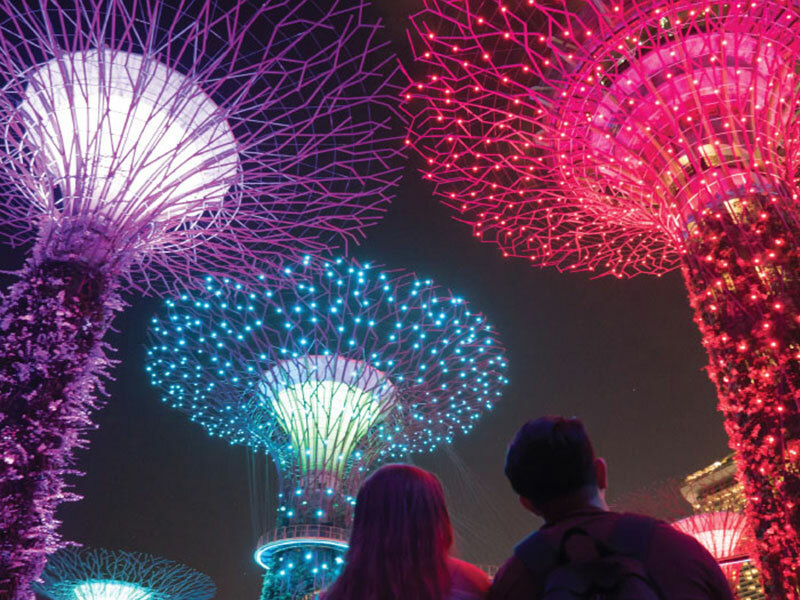 Stroll through the serene gardens and explore a little before the light and sound show starts at the Supertree Grove, an impressive set of vertical gardens that light up in a dazzling display. Your third stop is Bugis Village, Singapore’s biggest night street market, where you will sample fresh tropical fruit and shop for souvenirs. Don’t forget to bargain while taking in the bustling atmosphere. Finally hop back onto the HiPPO bus for a drive down Orchard Road, Singapore’s prime shopping belt. 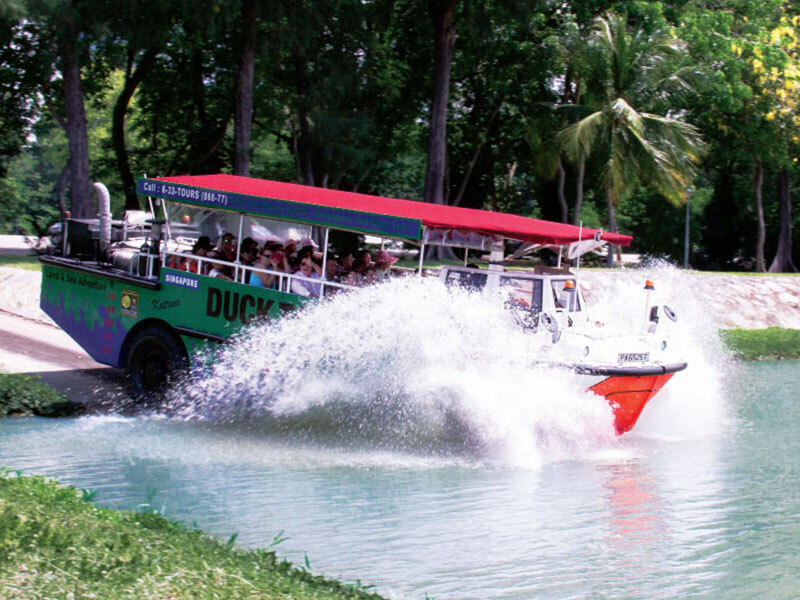 Enroute to Orchard, you have the option to alight and end your tour at Clarke Quay, a busy dining and entertainment district home to restaurants, bars and clubs. Say goodbye to your guide here to spend the rest of the night out on your own, or continue with a scenic drive down Orchard and end the tour at Suntec City! 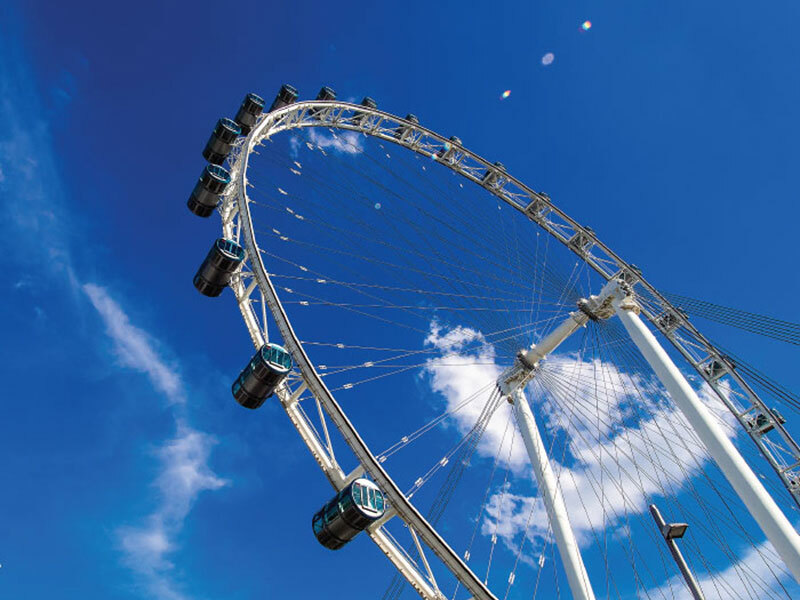 Board the Singapore Flyer for a scenic spin that takes you 165 metres above ground, or as high as 42 storeys. 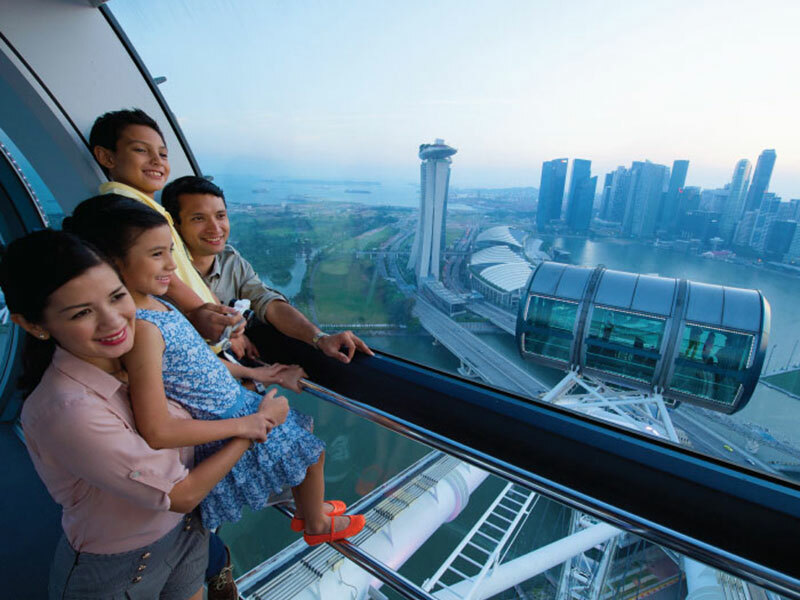 Step into one of the 28 fully air-conditioned glass capsules, and be transported on a 30-minute journey as you marvel at the spectacular scenery below. Plan your trip to the Flyer according to what you wish to see. Ride the Flyer during the day for clear view of the cityscape or board it at night for stunning night scenes. Ticket for one rotation (30 minutes) on Singapore Flyer. Not part of Night City Tour. 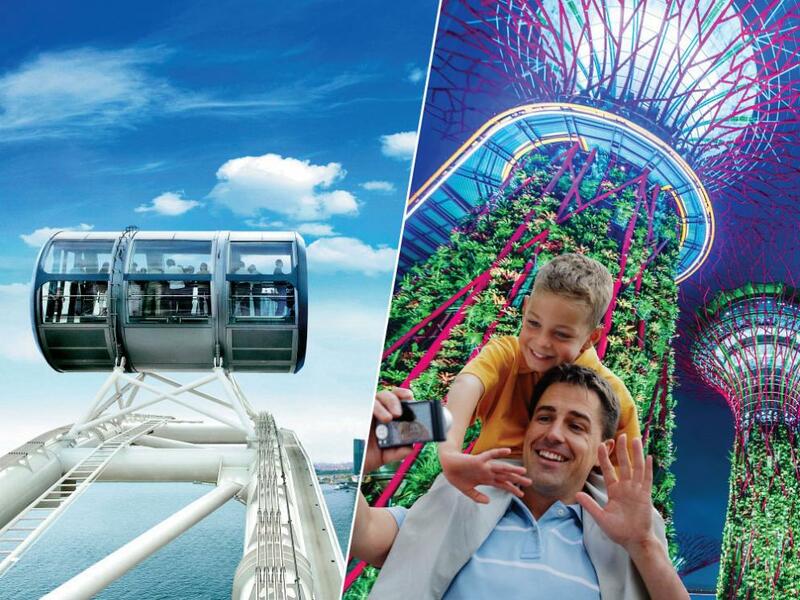 Enjoy the Singapore Flyer at your own pace* within 5 days. The first flight is at 8.30am and the last flight is at 10.15pm. Simply present your e-Receipt to staff to exchange for: Night Tour pass + Singapore Flyer voucher. How do I purchase tickets for Night City Tour? 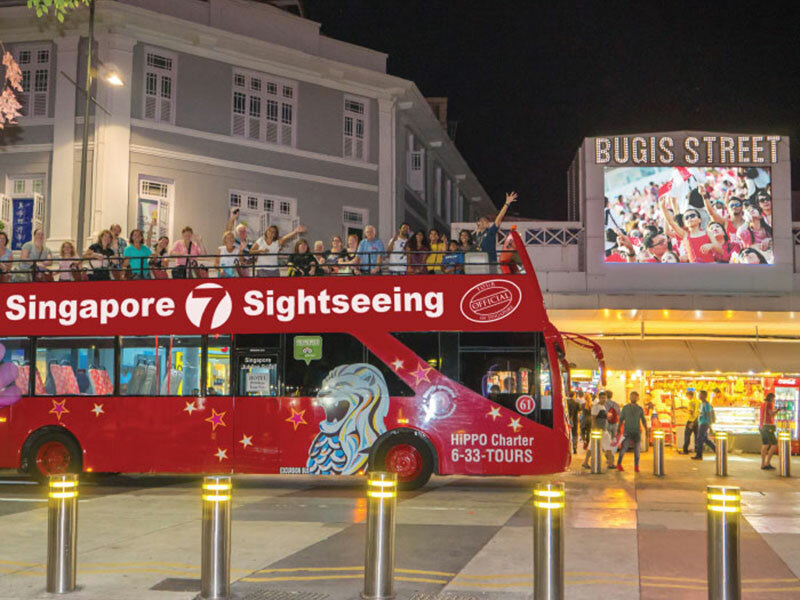 Can we purchase tickets for Night City Tour, City Sightseeing tours or Singapore Pass in Singapore? YES! You can purchase all of the above at our DUCK & HiPPO Hub at Suntec (#01-330) as well as the Singapore Visitor Centre (orchard gateway@emerald). For help, please call our guest hotline at (65) 6338 6877. Are advance reservations required for the Night City Tour? We strongly recommend that you make advance reservations to avoid disappointment as bookings are based on a first-come, first-served basis. What time does the Night City Tour start? 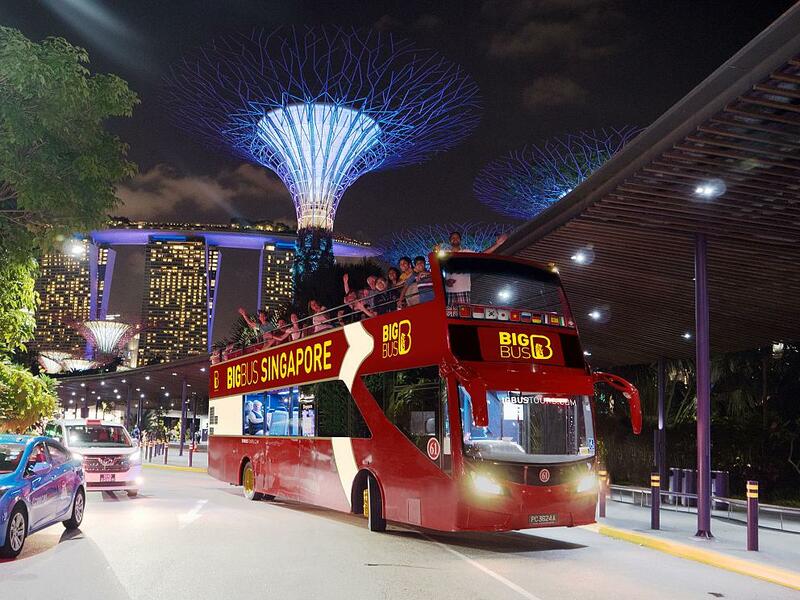 The Night City Tour starts at 6.30pm every evening and departs from Suntec City. Guests are requested to meet at our DUCK and HiPPO counter at Suntec at least half hour before tour time (i.e 6pm). What is the tour itinerary for the Night City Tour?